Window manufacturers like Colorado-based Alpen High Performance Products (HPP) recognize that supporting the Passive House movement requires dual focus on producing windows of superior quality and performance and making accurate, third-party verified performance data for their products readily available for use in Passive House design software. The Passive House design approach takes advantage of material performance characteristics to create a building structure that needs very little supplemental heating or cooling. The result is year-round comfort for home-owners and dramatically reduced annual energy consumption. To achieve this high level of energy efficiency, Passive House designers carefully evaluate how to assemble the building envelope to achieve optimal performance in four key areas: super-insulation, air-sealing, passive heating (solar gain) and effective ventilation. Because windows play an important role in each of these four critical categories, window selection is often a major part of the Passive House design discussion. With this in mind, in 2013 Alpen HPP enlisted in the Passive House US (PHIUS) Product Performance Data Certification Program and is pleased to announce they are the first North American window manufacturer to have received its accreditation. Alpen HPP units provide a powerful combination of optimum solar control which blocks summer heat, retains winter warmth, eliminates harmful ultraviolet rays, and maximizes natural daylight and clarity–all while providing the ultimate in architectural freedom. Alpen HPP has been an industry leader in manufacturing super high-performance insulated glass products since 1981, and award-winning fiberglass windows since 2008. Having developed a series of fiberglass windows around high-performance building needs, Alpen HPP is quickly becoming a favorite supplier among architects and Passive House consultants who appreciate domestically-produced windows of superior quality, performance and innovation. All windows feature highly multi-chambered profiles, reinforced where required for long life, no bowing and minimal thermal expansion. 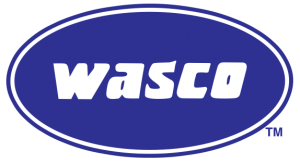 WASCO uses the finest Cardinal glass and selects the best North American style hardware for their windows. Engineered for the 2014 EnergyStar requirements and beyond, WASCO Premium Windows feature warm, multi-chambered frames for comfort and condensation resistance.